Folks, its that time of year for the biggest spectacle in wrestling!! But before our big Wrestlemania Pre-Show and Post Show, we are taking a look back at some memories we have of the show of shows. That’s right from the emergence of Stonecold Steve Austin as a true babyface to a ladder match of epic proportions. Wrestlemania is what wrestling fans look forward to all year and after 32 years there are lots of things that have happened. So John, Richard, and Jonathan take a look back at some of their favorite moments over the years. 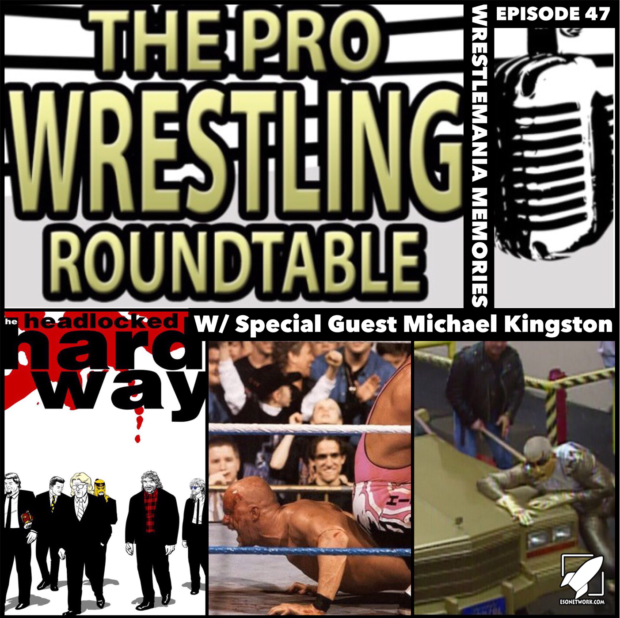 Before the main subject, we were lucky enough to have been joined by Michael Kingston, the creator and mastermind behind the wrestling comic Headlocked! We talk about his kickstarter that is currently up and running for volume four of his hit series. He also tells us some fun stories from the convention circuit and some of his experiences of live wrestling events he has attended over the years!